So you want to run a high stakes exam on Moodle using the Quiz. You want to ensure that the learners taking the exam cannot access any other materials while doing so. 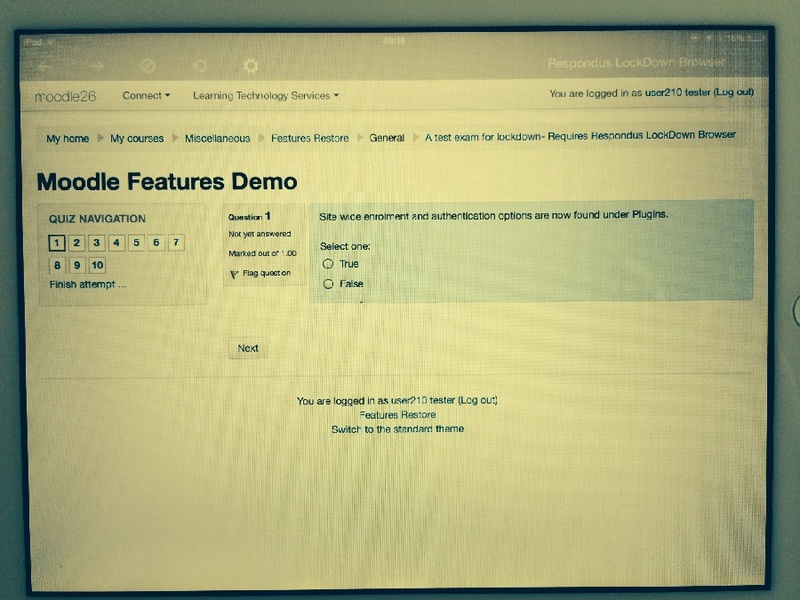 So if you want to provide your learners an iPad to take the Moodle Quiz on, then you have to look at Respondus. 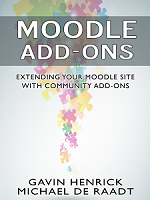 This review looks at this product and how it works with Moodle. 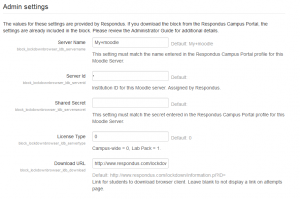 So what is the Respondus LockDown Browser and why would you want to use it with Moodle? 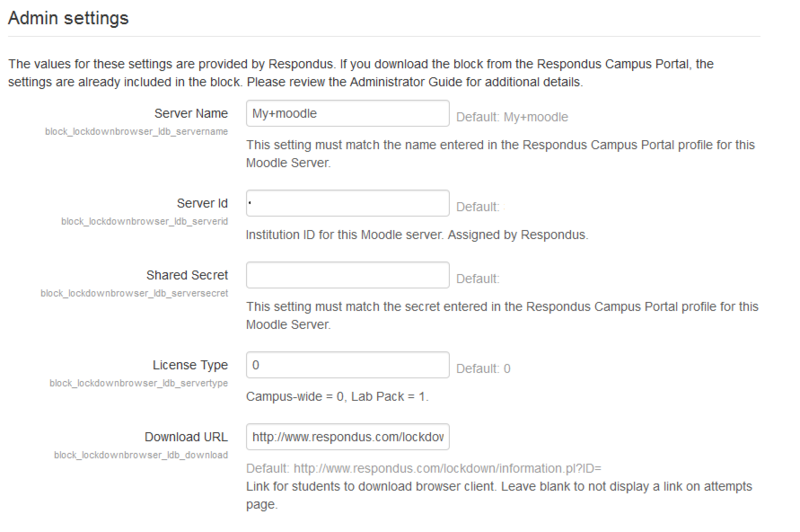 As their documentation states: Respondus LockDown Browser® is a customized browser that increases the security of online testing in Moodle. When students use LockDown Browser to access a quiz, they are unable to print, copy, go to another URL, or access other applications. Students are locked into a quiz until it is submitted for grading. This is implemented by installing a custom block into the Moodle site – so you need admin level access for installing this. So once it is set up – once a user accesses the Quiz that is configured to be using the LockDown then they cannot do anything – browser or change app until it is completed and submitted. an iPad where you can install apps. With the Respondus account, logged in as account administrator into Respondus website you first configured the Moodle instance on the site. This was quite straight forward and followed the steps in their documentation. From here you can download the admin pdf and the pre-configured block. This is a nifty way of doing things as the settings are pre-configured in the block assuming you configured it correctly. Server preparation. This add-on requires mcrypt for the integration to work, so as it happened it was no on the test server I used so had to add it in. Adding the block is like any other block. After adding the block, you had to make a change to the config.php file. Then you just install and configure the block global settings. So once the block is installed, I went to the course and added in the block to the course. This gave access to the dashboard to configure which quizzes were to be locked down. It initially shows all quizzes in the course as below. Then you have to select one, which you want to lock down. There were a few different options as outlined below. I had downloaded the app from the app store and launched it. First I had to select the right institution, and then I was given access to the Moodle site. 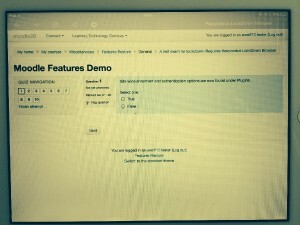 However I had to first enable the Guided accessibility option on the iPad so that it would be able to take over the iPad controls. 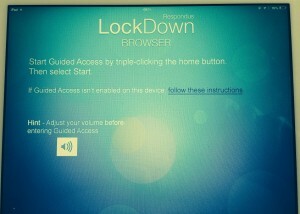 Once down you can launch the LockDown browser and put it into guided mode. You need to set a pin to remove it out of the LockDown mode for after the test. If the learner tries to access the quiz that you configured as Locked Down on an iPad that is not locked down it will refuse access. To access the Moodle site configured in the App, the guided access needs to be enabled. 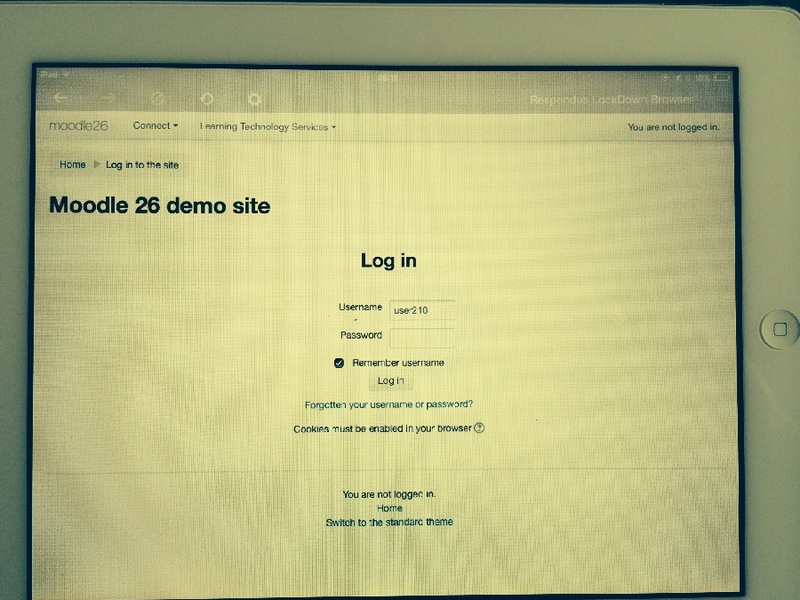 They will see the Moodle site and be prompted to log in. They will be able to access the content on the site that they normally can initially. They will be able to navigate to the course and to the specific quiz but once they start the locked down quiz, they are then locked into it until they click Submit all and finish. They can navigate as normal to each of the quiz questions as per the configuration of the quiz, but are unable to browse back to the course, open new tabs or change to another application. Once they submit and finish and exit the Quiz , the restriction is now gone. 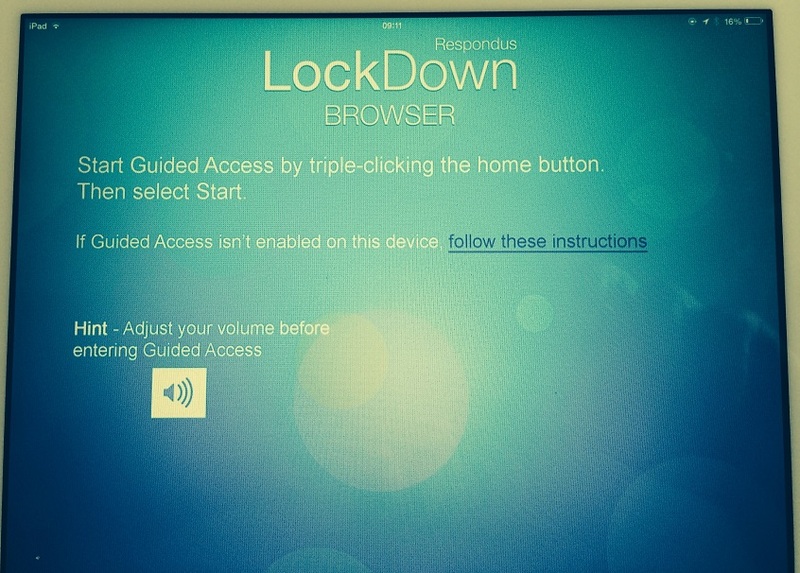 After they are finished, the browser will only disable the locked down aspect of iPad when the instructor triple-presses the iPad home button to exit Guided Access and enters the PIN to unlock it. The use of a locked down browser for high stakes online exams seems to be a more requested feature from clients that I have worked with within multiple sectors both academic and corporate. The use of a tablet like an iPad provides a less bulky and mobile option for delivering the exam compared to using desktops or even heavier laptops. 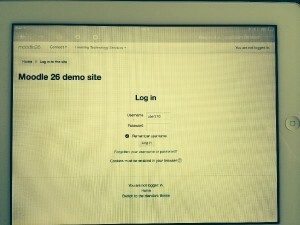 Having something like the Respondus LockDown browser which means that you can still use the Moodle site but have it secured within the iPad is a viable approach. It is easy to use and set up from an administration, teacher and facilitator point of view and simple to use from the learner point of view too.